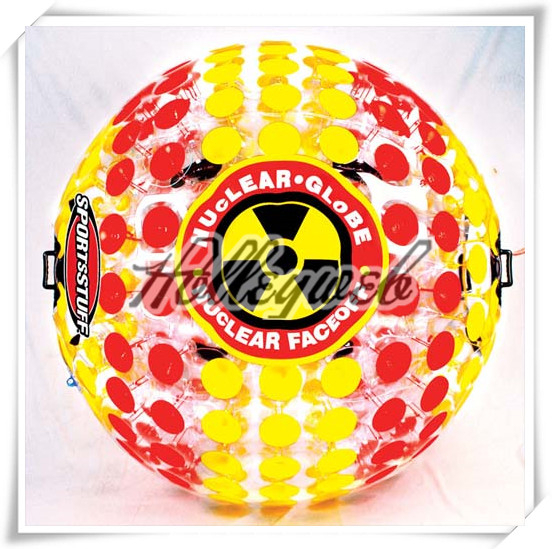 If you ever had a hamster and watched with envy as he rolled around in that cool hamster ball or simply wished you could walk on water, your dreams have come true with the cool new SportsStuff Nuclear Globe. 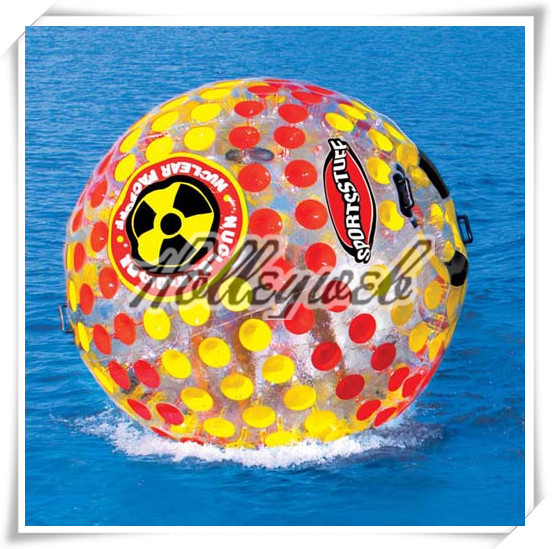 The Nuclear Globe is an amazing six foot inflatable sphere that you can climb in and walk across the water with. 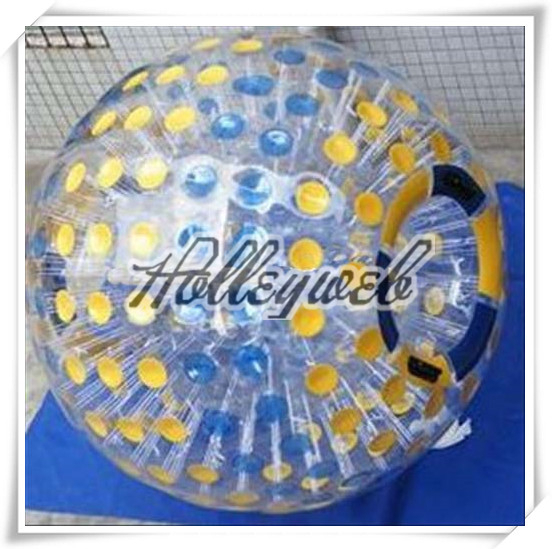 It's made of a heavy-gauge PVC thats resists punctures and has an inset cup construction on the outer surface to help grip and paddle the water as you spin the globe. 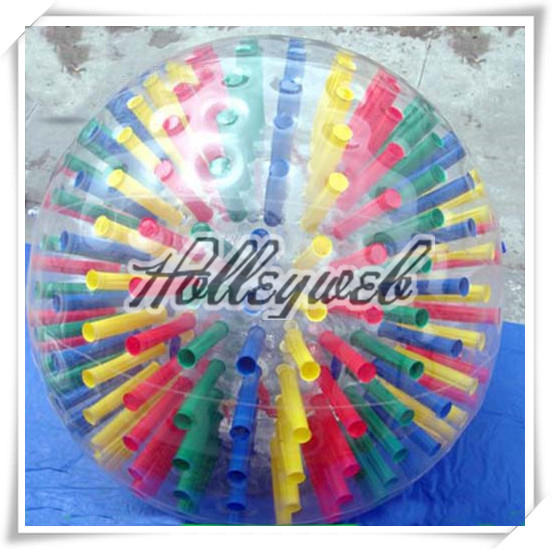 It would be even more fun if you had more than one for your friends, because then you could all engage in inflatable bouncy combat. 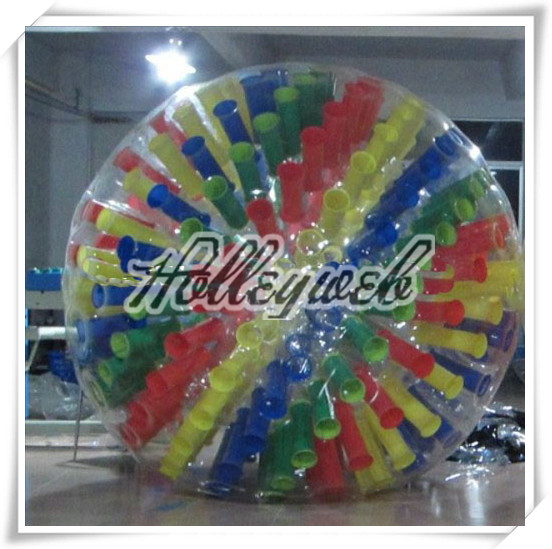 I suppose you could also roll around in your backyard if you wanted, but the neighbors will probably think you're an idiot. 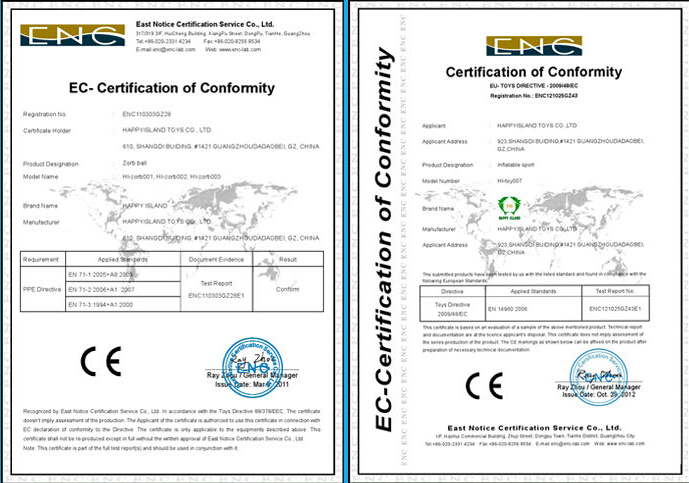 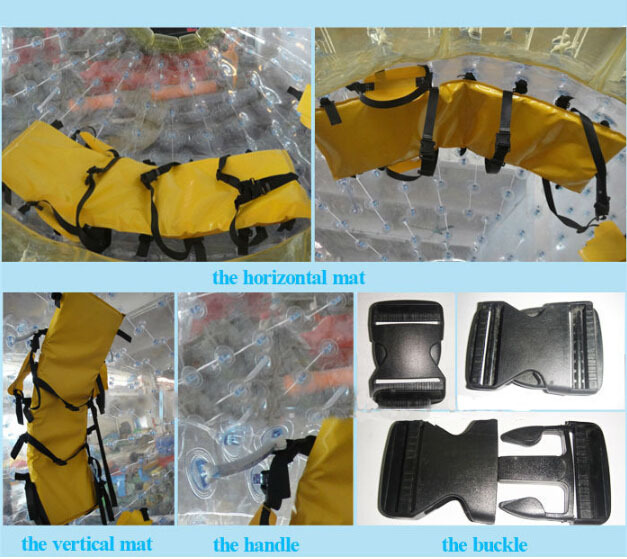 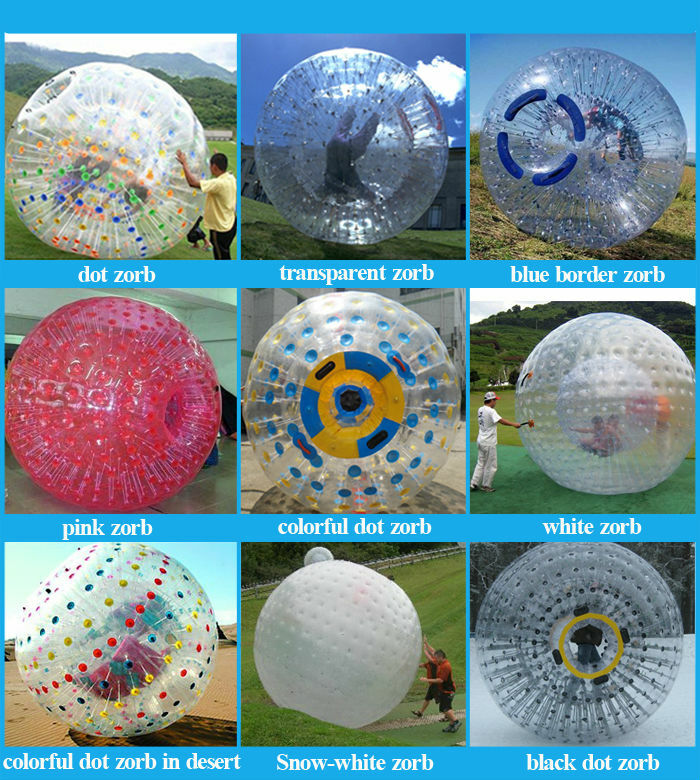 Zorb Ball, zorbing ball, zorb is the sport of rolling down a hill inside agiant inflatable ball, zorb globe,giant inflatable human hamster ball, It's great for using down local hills, parks, play areas, football pitches and zorbing ramp, zorbing orbit. 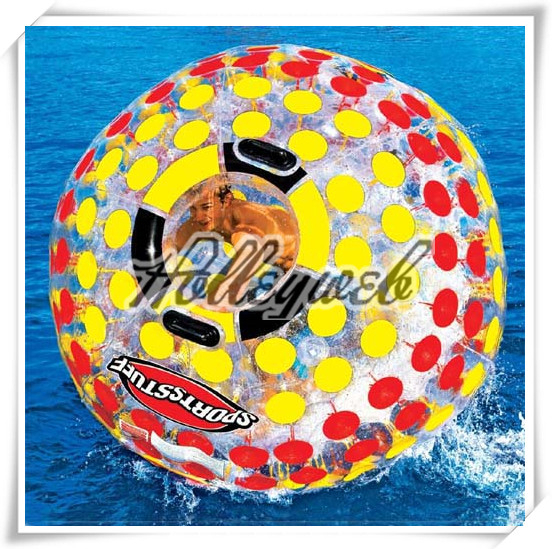 We also can provide you zorb balls for use on water. 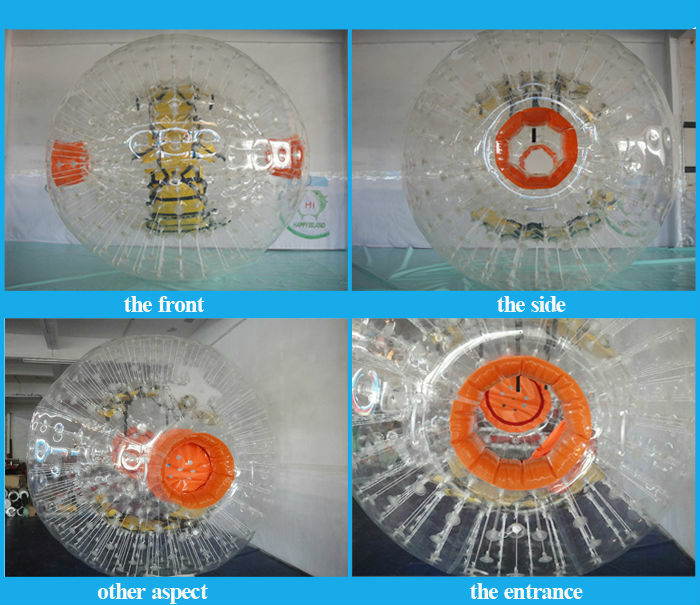 (aqua zorb, glow zorb).